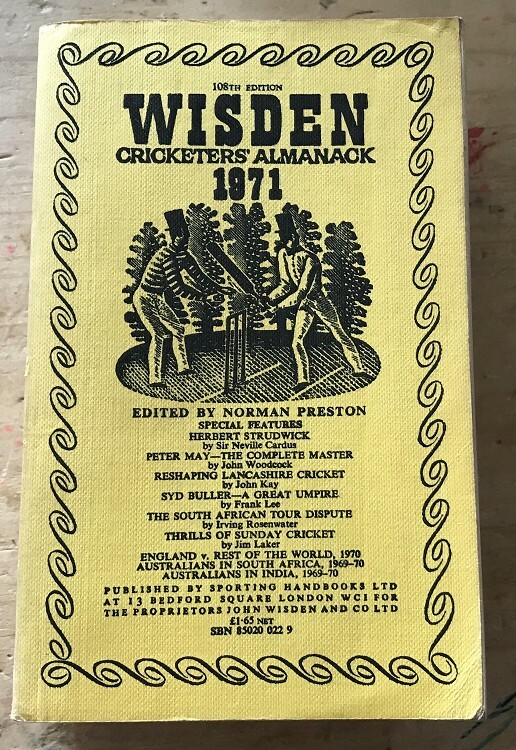 This lot is a 1971 Original Linen Wisden. It is in Good or better condition. The covers are very bright and clean to the front and the rear, the spine cloth has some wear, the corners of the cover are a touch thumbed, the top of the page block has some marks but the pages are clean inside, very little spine bowing.